Coming to Sohoton is always a joy and even how brief and quick my hop few days back it was a great way to welcome summer and a refreshing break from work. After two moths I was back, but this time with Angel after three years when he first came to Butuan and Surigao to catch glimpse of Northeast Mindanao. It was some kind of homecoming especially that he wanted to dine at Margie’s for his cravings! Although it meant long road trip for Angel, he decided to have his entry and exit point in Cagayan de Oro which I was grateful as I have a companion during the rides. So after three hours of sleep on Friday night and sneaking from home, our escape started too early when we catch the 330am King long bus for Butuan, and after more than five hours took another bus and at noon reached Bad-as, Placer with the rains constantly pouring on our way. Thankful that the summer sun is brightly shining while at Bad-as, we waited for more than an hour before the van left to Port Hayanggabon in Claver, with our boat already waiting. Watching the blue waters and feeling the fresh air as we drove along the coastal towns gave a spirit lift wanting to reach my haven sooner. We rode the afternoon waves cruising to the islands, and as if to welcome us the waves kept splashing on us and gave a shower of salt water on our skin. It kept us swinging as we drew near with smiles on our faces, but halfway the waters cleared and we sped off straight to Cinnamon. The POs cottage had been prepared ready to embrace us for the remaining precious hours in my little paradise. Not wanting to waste time, we rushed off with our guide Reggie to Marka A Island, a rock mountain islet in green vegetation surrounded with blue waters with small patch of beach. Angel and I wanted to freshen our gills as it’s been four weeks since our last dive. From our yellow small boat, we jumped off to the waters to swim and snorkel, indeed we were not disappointed. The sandy slope was decorated with variety of corals – most are table corals in different colors and sizes punctuated with variety of fish species. Trumpet fishes, Moorish idol, damsels, anemone fishes, pipefish. Sweetlips, fusiliers and lot more. A bluish boxfish wiggling its way from us, he hid away down the corals as it noticed us following him. We drifted with the late afternoon current as we watched the scenery below us, as we swam shallower we caught glimpse of striped fish in herd camouflaging as one big fish, then a pair of trumpets attacked them and they scattered but grouped back again, the poor herd was bullied at least twice. We swam to the small white beach as the waters getting colder joining other people there. We lingered for some time in the shallow waters with the orange horizon beyond as the day’s sun ebbed down. It was getting dark when we rushed back in our refuge in Cinnamon, only kerosene lamps illumined the place creating a warm glow in the dark. As usual the singing cicadas cutting the stillness of the night, coupled with the waves in the nearby shore was all the audible sounds you have in the island. Our nipa & bamboo cottage was just perfect for a good night’s rest without doubt, it was such ideal for unwinding after a long week at work. Our sumptuous dinner of fresh and organic food under the canopy of stars with fresh sea air in candlelight was just lovely! Something that is very rare in the city. And finishing it off with fresh cinnamon tea, felt like one fresh pot was not enough for me and Angel, after we tried concocting it with honey, and later with calamanci extract! We enjoyed too the company of PO staff who seemed to accommodate every wishes we had. Retiring for the night was all we need after a long day with lack of sleep, our fresh linens seemed to beckon. Imagine sleeping with open windows, cicadas singing, waves rolling with the stars above, then few fireflies inside our cottage hovering up – rare sight on summer months! This is what living in rural setting is all about – so natural, organic and unaffected – away from the complexities of city life. Unending stories until we drift off to sleep…. Nothing is refreshing than waking up with gentle sea breeze blowing and sounds of rolling waves nearby, with the morning twilight in the horizons. We need to start early to make most of our time but not without getting an idyllic breakfast near the shore. Watching the horizons, while sipping our cappuccino – again in candle light. C’est la vie! The hopeless romantic in me was completely absorbed in such opulence feeling like were in a beach villa overlooking the shore. 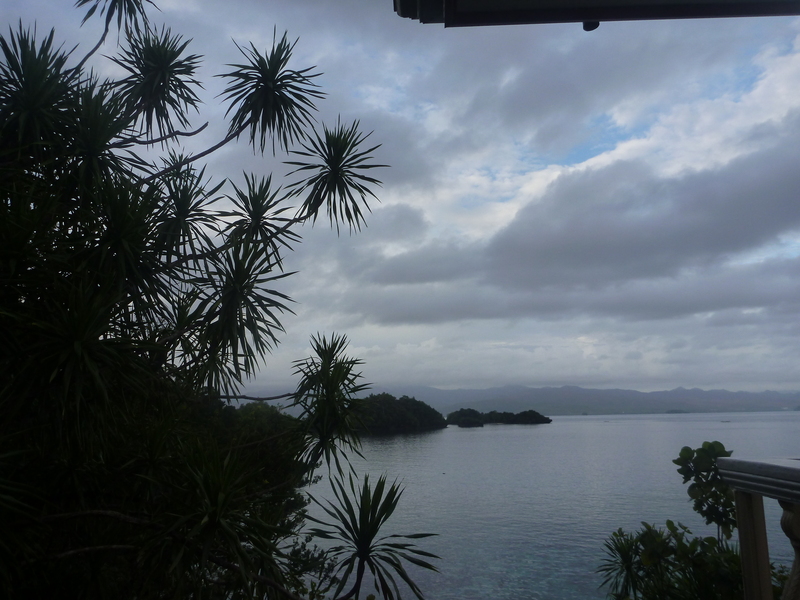 It started to drizzle when we sped off to Sohoton Cove, the tide slowly subsiding. It always gave me that sense of wonder every time passing that opening for the cove. It’s intriguing that under the semi-cave shade, one could hardly get the chance to explore the entrance with the fierce currents, the deep blue waters mesmerizing. Variety of plants grew on the rock islets – iron wood, pitcher plant, agoho tree and more species that can survive on rocks rather than soil. Our first stop was the Hagukan Cave which was indeed snoring when we got there. The vacuum inside gave that sound as the water wasn’t low enough yet, the entrance still almost covered with water. Angel and I jumped off, and a guide led me to swam deep and got inside, I was gasping when I float up! We linger for a moment and swam inside feeling the cold and warm waters. We sailed next to Magkakaub Cave catching two boatful of tourists, Angel all beaming suggested for the jump – which was precisely the reason for getting there. We went last from the other guests, but rock climbing in the cave seems easier now after some time of doing it again and again. But alas – I still have to gather the courage to jump which I did eventually, and even for Angel! The great splash was too liberating – I will do it again and again until I still have the strength to climb for the cave exit. J I still wanted to swim but we were such in a rush for lack of time. We sailed back for our return with the rain pouring – as if some great blessing was poured on us from heaven! The cottage was in full motion when we got there preparing for guests on lunchtime, we just need to freshen up and pack although my heart wanted to stay longer. We went nearby with Roldan to gather some fresh cinnamon barks, the island is blessed with these trees scattered around and which they utilized as welcome drink for guests. Our fresh buko was ready, but choose to have it during our meals. 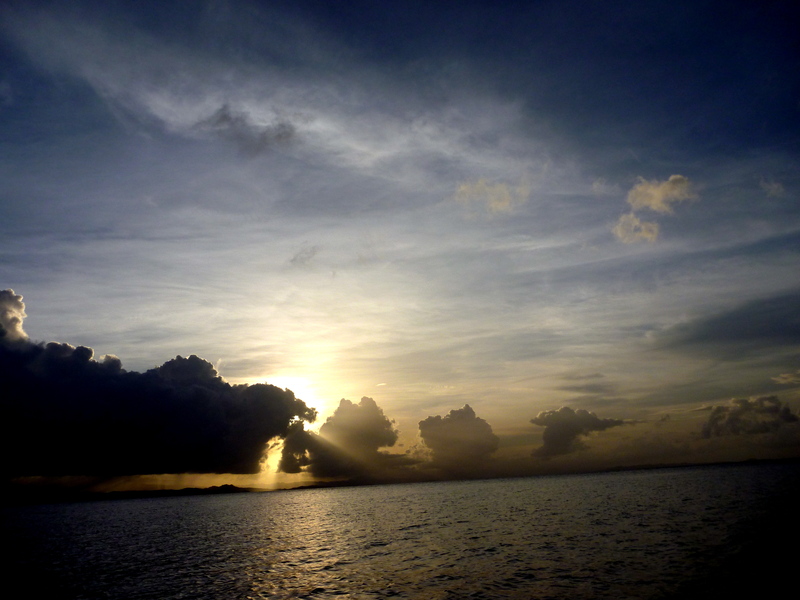 I wanted to slow down as our stay nearing its end – how pathetic we barely had twenty hours in the islands! Our sumptuous lunch glued us for some time on our table – the fresh fish, the soup, the buko – everything delectable and natural to our liking. The Bucas Grande group has been a home for me and Cinnamon is exactly the spot where I can relax and be comfortable like my first home. I can snorkel and swim in the waters just few steps from the cottage or I can just laze around in the small patch of white beach or simply sit on the porch and watch the endless horizon beyond. It is an environmentalist’s dream. We rode the waves on our small boat under the blazing noon sun, but promising myself to be back again in its bosom to explore more of the islands – like that elusive cave that traverse to another barangay or even to try diving in its turquoise waters. And just like when we come, the sea water flashing gave us some shower as if to bid bye. Our brief stay was incredibly uplifting and wonderful and I was wishing I could have stayed for another day. 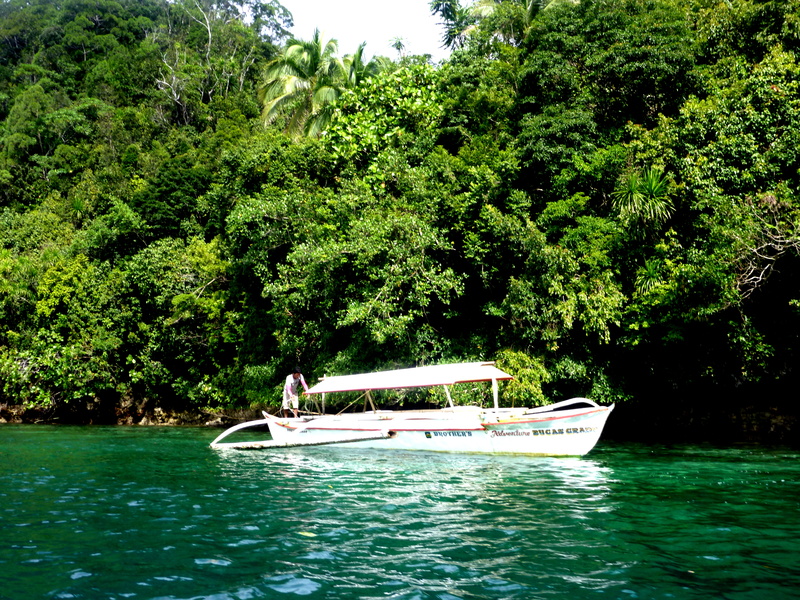 Surely, there are reasons to be back again in Sohoton. 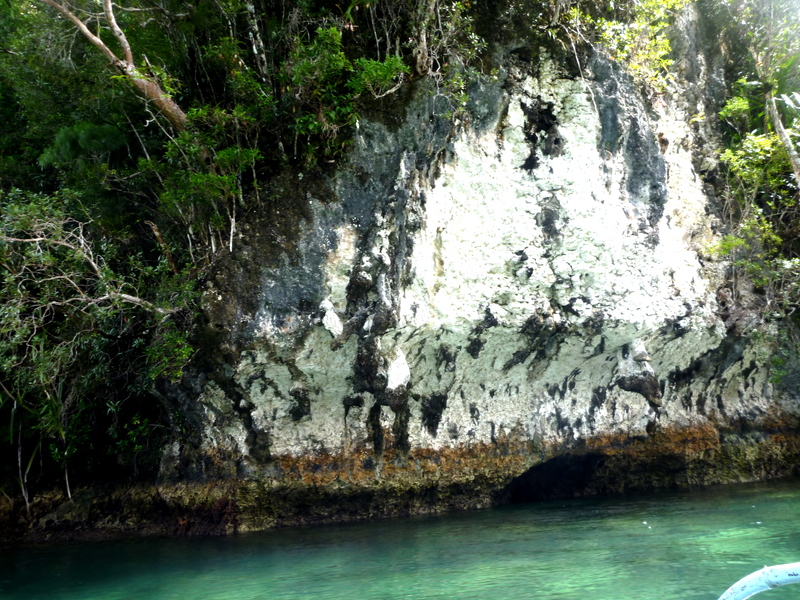 Sohoton National Park is a protected area – terrestrial or coastal. 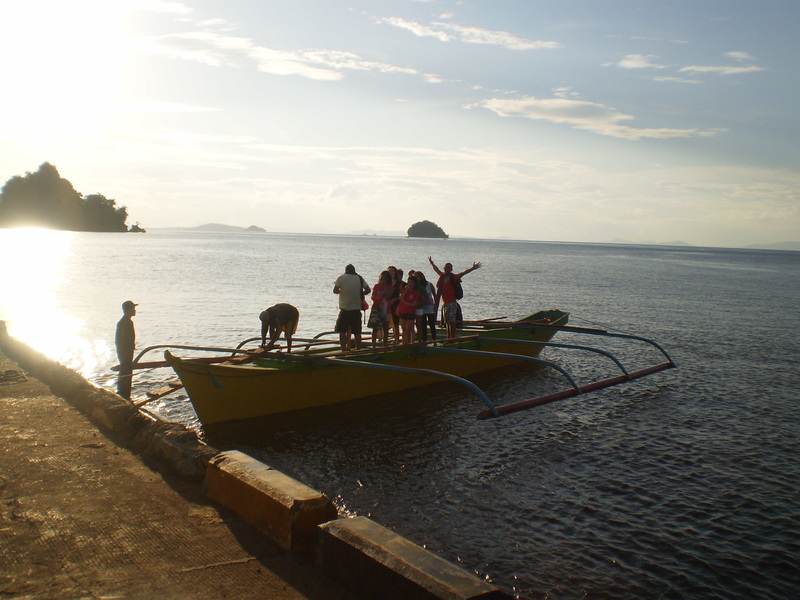 The communities within the Bucas Grande islands are organized – fisherfolk, women, youth – duly registered. These rural groups were recipients and partners in community-based resource management program for coastal communities. SAVE Sohoton, the PO which run the cottage and coop store in Cinnamon, is one of them.